Nearly 4,000 Canadians died from apparent opioid overdoses last year, up from nearly 3,000 in 2016. As part of her department's response to the crisis, Health Minister Ginette Petitpas Taylor wrote to 102 opioid manufacturers and distributors earlier this summer asking them to immediately stop pitching the drugs to health care workers while the government considers introducing new regulations. Just 25 drug companies had responded as of Sept. 5, according to Health Canada's records. Of those companies that responded, six — Ethyparm, Mint Pharmaceuticals Inc., Paladin Labs Inc., Pro Doc Ltée, Purdue Pharma and Teligent — agreed to cease marketing opioids. The others wrote back to tell the department they don't currently promote or sell opioids in Canada. Indivior Canada, which makes the opioid replacement therapy Suboxone, argued in its letter for a distinction between products prescribed for pain and those meant for addiction treatment. "Indivior is committed to ethical and responsible marketing and promotion," reads the company's response. Thierry Belair, a spokesperson for the minister, said they are "cautiously optimistic" about the results so far. Purdue Pharma, the makers of OxyContin, publicized their response to the minister back in July. Its letter says the company has stopped actively promoting its prescription opioids in Canada — but would still discuss its opioids with health-care professionals "reactively" by having staff in its medical affairs department deal with "requests for information." South of the border, the company has acknowledged that its promotions exaggerated the safety of taking OxyContin and minimized the risks of addiction, but its Canadian arm hasn't made any admissions of responsibility. The province of British Columbia named Purdue Pharma, Paladin Labs and Pro Doc, among others, in its recently launched lawsuit to reclaim costs associated with the ongoing opioid crisis. 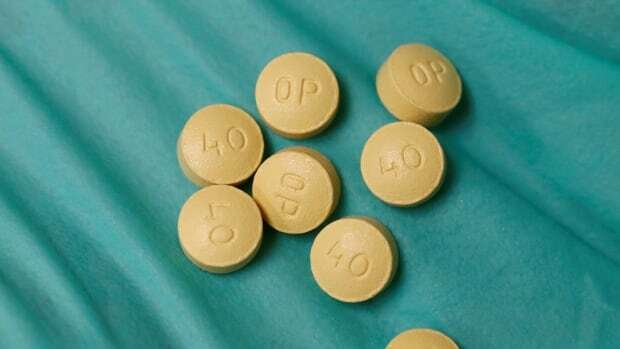 The provincial government alleges the companies contributed to that crisis by downplaying the risks of their opioid products — particularly their addictive potential — when advertising them to physicians. Canada has the second highest rate, per capita, of prescription opioid use in the world, and the number of opioid-related hospital visits and deaths here is rising. Petitpas Tayor's letters to the drug manufacturers and distributor were meant to act as a stopgap measure while the government decides whether or how to introduce restrictions on the way drug companies market opioids to doctors. The government has consulted with stakeholders and new regulations could be in place by early 2019. Those regulations could include new limits on visits by drug companies' sales representatives to doctors' offices, conferences and educational courses sponsored by opioid makers and opioid ads in scientific journals. "While there is value in the pharmaceutical industry conveying educational and scientific information about a health product," says a post on Health Canada's website, "evidence suggests that the marketing and advertising of opioids has contributed to increased prescription sales and availability of opioids." Dr. Joel Lexchin, who has studied the industry for close to 40 years, said he'd like to see Health Canada take over drug marketing altogether. "The biggest issue that Health Canada has to grapple with is the fact that, for virtually the entire existence of Health Canada, it's turned over regulation or promotion to either the pharmaceutical industry itself or to organizations, which are heavily influenced by the pharmaceutical industry," he said.